Color photograph; 4x6 inches. Glossy. Written on back in blue ink: \"Janice Kimball, Jeanne Norton, Mary Lally and Betty Willey. 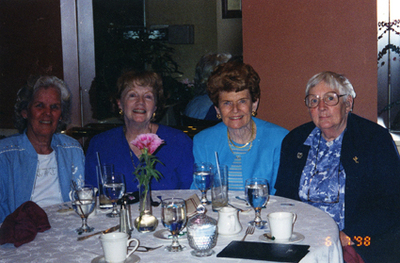 (June 2003) 50th Reunion - Lesley College\"